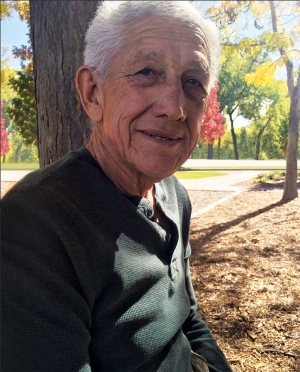 Gilbert Ernest “Mo” Sosa, Jr., 78, of Fillmore went on to be with God on September 30, 2017 surrounded by his family and loved ones. A memorial service will be held at St. Francis of Assisi in Fillmore on Friday, October 6 at 10:00 a.m. The memorial service will be preceded by the rosary at 9:30 a.m. Memorials may be made to the Relay for Life of Fillmore-Piru. Mo was born on January 7, 1939 in Ventura. His is survived by his wife, Betty. They married December 1, 1962 in Fillmore. They have four children, Ray (Leticia) Sosa, Steve (Valerie) Sosa, Leonard (Claudia) Sosa, and Art (Adela) Sosa. They have six grandchildren, Celeste, Kyle, Kendall, Tyler, Jacob, and Daniel. Mo was preceded in death by his parents, Gilbert Sr., and Alice. He has a sister, Becky (Sosa) Morales, who is living. Mo was retired from Fillmore Unified School District where he held a number of positions, including bus driver and maintenance. Prior to his work with the school district he was employed by General Motors in Van Nuys. He grew up on Rancho Sespe where he formed lifelong friendships. He went to local schools and he played many sports. He was particularly talented at basketball where he earned the nickname “Big Mo” by his head coach. The American battleship, USS Missouri, also known as “Big Mo” was the last American battleship ever built and the last to be decommissioned and now rests in Pearl Harbor. Mo was a Fillmore High School alumni and was well respected at the school and in the community. He was elected Homecoming Grand Marshall in 1988 and in 2014 he received the Charles A. Mozeley award through the Fillmore High School Hall of Fame. He and Betty, the love of his life, were nearly inseparable. They enjoyed spending time with the entire family, following their grandchildrens’ activities, and watching the beloved Dodgers. Our Dad was our role model. He always carried himself with class and humility. 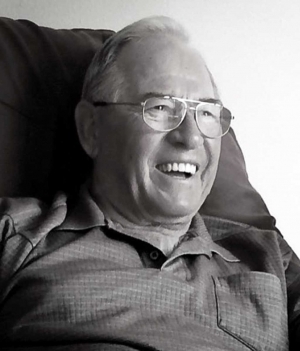 He was a good person – devoted husband, great father and grandfather. He will be missed. It is with great sadness, after battling health complications. We announce the passing of our beloved wife, mother, daughter, sister, aunt and grandmother on Thursday September 22, 2017. She was surrounded by her loving family. Felicitas was born in Temastian, Jalisco , Mexico on November 23, 1945. She was married to Salvador Valdez and together they would’ve celebrated their 50th wedding anniversary on Valentine’s Day. They had four children , Maria Concepcion Valdez Vasquez, Jaime Simon Valdez, Rosemary Valdez Cortez and Rosaura Valdez Magaña. FILLMORE, CALIF./MADISON, WIS. – Terry S. Olson, age 71, passed away on Sunday, Sept. 10, 2017. He was born on Dec. 15, 1945, in Madison, Wis., the son of Milo and Marion (Bondehagen) Olson. While growing up in Madison, Wis., Terry attended Trinity Lutheran Church and graduated from Madison Central High School. Following graduation, he worked as a carpenter, then moved to San Francisco, Calif. Terry then began a long work career with the California prison system at San Quentin, where he rose through the ranks to become manager of their maintenance systems. Terry volunteered to teach inmates carpentry skills. Later in his career, Terry transferred to the Camarillo Youth Correction facility, where he continued as a supervisor until his retirement. In retirement, Terry moved to Fillmore, where he spent his spare time volunteering at the local gun range. He also made many trips back to Wisconsin to visit with family and spend time with his mother. Terry is survived by his loving mother, Marion; and many wonderful cousins. He was preceded in death by his father, Milo; and brother, Bruce. Funeral service will be held at SKAALEN NURSING & REHAB CENTER - CHAPEL, 400 N. Morris St., Stoughton, Wis., at 11 a.m. on Friday, Sept. 22, 2017, with the Rev. Sue Schneider presiding. A time for visiting will take place during a light reception following the service. Burial will follow at Roselawn Memorial Park. Online condolences may be made at www.gundersonfh.com. It is with great sadness and heavy hearts we announce Patrick Lee Pastoret, 51 went to be with the Lord on Thursday, August 31, 2017. He leaves behind his beautiful daughters Krysta (Philip), Tara, Samantha, and Justine; his Mother Donna Fletcher; his sisters Keli Lankford (Jimmy), Shirley, and Peggy; brothers Jimmy and Ricky and his grandchildren Gracie, Chase, and Ethan. His Father James Fletcher and brother Michael Pastoret precede him in death. His parents Donna and James Fletcher raised Patrick in Fillmore. In his early years, Patrick enjoyed riding dirt bikes and water skiing. He graduated from Fillmore High School in 1984 and attended Ventura College. Patrick enjoyed his craft in welding and creating art. Patrick had a huge passion for helping others and was committed to the Santa Barbara Mission for many years. He enjoyed playing softball; kayaking and spending time with his daughters, family, and friends. The family would like to thank all who have donated towards Patrick’s celebration of Life. A Memorial Service will be held on Saturday September 30th, 2017 from 1:00 pm-5:00 pm at the Flight 126 Cafè , 824 E Santa Maria St, Santa Paula, CA 93060. Billie J. Inman, long-time Fillmore resident passed away peacefully at her home on September 4th, 2017. A memorial service will be held on September 16, 2017 at 10:00am, at the Fillmore Church of Christ. In lieu of flowers, donations may be made to American Red Cross Hurricane Harvey Relief Fund, or a charity of choice. It is with great sadness and heavy hearts we announce that our wife, mother, grandmother and great grandmother, Norma Martinez began her heavenly journey on August 28, 2017 at the age of 81. Norma was born on March 27 1936 in Fillmore. Where she was raised on Rancho Sespe Ranch. She was a long time resident of Fillmore. She graduated from Fillmore High school in 1954. After many years of raising her children she returned to the workforce, working for Fillmore Unified School district as a teacher aide. She work many years at the High School and Continuation School. Norma has inspired and encouraged many students in the High School. So many students have memorable stories about her from her time at the High School. After many years with the FHS family, she retired in 1994. She enjoyed life traveling and going on adventures with her family. Our mom Norma is survived by her husband of 49 years, Leo, daughters Peggy (Art) Escoto, Carol(Jorge) Palomares, Melinda(Adam)Harma, Corinna(John) McGill, Jazmin Martinez, sons Fred(Rose)Tepesano and Rocky Tepesano and many grandchildren and great-grandchildren. She is preceded in death by her mother Rosa Ramirez, father Tiquio Ramirez, 2 sisters, a brother and her daughter Arlene Carrillo. Services will be on Thursday Sept 7, 2017 at the Skillin-Carroll Mortuary, 600 Central Ave, Fillmore, CA 93015 Friends and Family viewing will be from 6-7pm, rosary to follow at 7-8pm. Friday Sept 8, 2017 at 10am Catholic Mass will be at St. Francis Assisi Church 1048 W. Ventura St, Fillmore, Ca 93015 Burial will follow at the Bardsdale Cemetery, Reception will follow burial at the St. Francis of Assisi Church Hall. Anthony “Tony” David Grande, beloved husband, father, papa, brother, teacher, coach, mentor and friend, went home to be with the Lord on August 31, 2017 at the age of 69. After fighting a 4-year battle with lung cancer, he passed away in his Fillmore home surrounded by the presence and love of his wife and five children. Tony was born on December 6, 1947 in Sacramento to Antonio and Irene Grande. He moved to Fillmore at 3 years old, making many wonderful memories with his seven siblings and friends. He was active in Boy Scouts, where he gained lifelong mentors, which he attributed to making a lasting impact on his life. At Fillmore High School, Tony played varsity Football, Baseball and Basketball, and served as Student Body President his senior year in 1966. He attended Ventura College where he wrestled and was involved in student government. Anthony graduated from Fresno State where he was a member of Sigma Alpha Epsilon fraternity and earned his Bachelor’s degree and teaching credential. Anthony married the love of his life, Marcia, in June of 1970 at the Fillmore Presbyterian Church. Together they raised five wonderful children in Fillmore. He taught his children and students the three signs of success: “Think Positive, Set Goals, Never Quit.” He loved spending time with his grandchildren, taking road trips, visiting new places, and exploring National Parks, his favorite being Yosemite. He took pride in having visited all 50 states, and was always looking forward to planning the next road trip with his wife. Everyone who knew Tony witnessed his passion for inspiring others and helping them realize their value and potential. 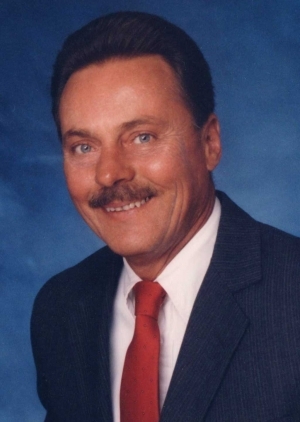 He had a charismatic personality making friends everywhere he went, and embodied his lifelong motto to “everyday make a difference.” He was able to pursue his passion through teaching, starting in 1971 at Hart High School in Newhall. There he coached a number of sports including Cross Country and Tennis, and also served as the Business Department Chair. 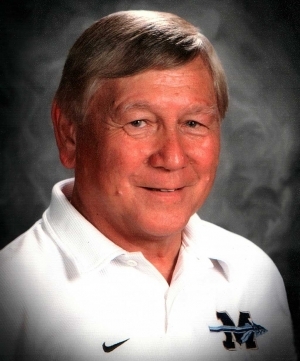 He spent many years of his teaching career as FBLA Advisor, developing leadership skills in students, encouraging them to set ambitious goals for themselves, and believing in them when many had no other mentor in their life. After spending a decade working for Glencoe-McGraw Hill publishing company, Tony returned to the classroom in Porterville. He spent the last 11 years of his career at Monache High School, where he coached the Girls Golf team, was FBLA advisor, ran the student store, and was awarded Teacher of the Year in 2014. Throughout his 37 years in the classroom, he quickly became a favorite teacher to many students. Tony was diagnosed with stage IV lung cancer in 2013. Throughout his battle he remained positive, fighting the disease until the very end. Tony gave his life to the Lord during High School, and through the trials of his illness he knew that God had a plan for his life – to provide courage and motivation to others, when they needed it most. Anthony is survived by his wife of 47 years, Marcia Sharpe Grande, his children Melanie Munoz (Michael), Tiffany Grande, Lacey Hansen (Kevin), Anthony J. Grande (Melissa) and Ashley Grande. His grandchildren; Katelyn and Brooklyn Fiers, James Hansen, step-grandchildren; Gabriella, Charlie, AJ, Genevieve, Caleb and Jillian Munoz; siblings, Angela Galbreath, Linda Grande, Veronica Tucker, Loretta Raines, Richard Grande, Olivia Grande and Cathy Grande. He is predeceased by his father Antonio Grande, mother Irene Musgraves, stepfather Joe Musgraves, and infant brother Mariano Grande. A Celebration of Life will be held Saturday, September 9th at 11am at Faith Community Church, 461 Central Avenue, Fillmore. A reception will follow at FCCs D Street campus, 355 D Street, Fillmore. In lieu of flowers, donations can be made in Tony’s name to the FHS Alumni Association scholarship fund, the Monache High School Girls Golf team, or Boy Scout Troop 406. On August 30th 2017 Piru lost one of its oldest residents. Our dad, grandpa, great-grandpa and great-great grandpa Jesus “Chuy” Solis Zavala changed his address to heaven at the age of 97. He is now at peace with our Lord and Savior, and reunited with his beloved wife Ma. Luisa “Licha” Zavala. Jesus was born on October 20, 1919. At an early age he ventured to the United States. He visited many towns, but Piru was where he decided to settle. He met and married our mother Ma. Luisa Hernandez. and together they were blessed with eight children: Hess (Joy) Zavala, Victor Zavala, Gloria Davalos, Gabriel Zavala all of Piru, Gilbert (Irene) Zavala of Exeter, Tommy (Martha) Zavala of Fillmore, Rosie (Salvador) Hurtado of Piru and Martha (Steve) Hope of Fillmore. Jesus is also survived by 17 grandchildren, 25 great- grandchildren, and 4 great- great grandchildren, with 3 more babies on the way. Jesus was a good and hardworking man who loved and cared deeply about his family. He was most proud of the fact that there were 5 generations of Zavala’s. Jesus had a beautiful voice and loved to sing, and write songs. He wrote a Corrido (a ballad in a traditional Mexican style, typically having lyrics that narrate a historical event) about his beloved town of Piru. Around the mid 50’s, when the Santa Felica Dam was being built. Any chance he got to sing his “Corrido De Piru” he would sing it. When dad would sing his Corrido, you could see and hear the love he had for his beloved town of Piru. Jesus had a thirst for knowledge and read continuously. He loved to debate any topic, and of course he was always right. He had a lot to say about history, and what he had experienced in life. 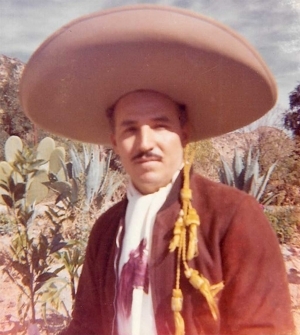 He was known for riding his beautiful horses, and would dress in his Charro suit and participate in parades around the county. He had many pets but he had some that were very dear to him. His horse “Nightshade”, his best friend and companion Chiquera his German Shepard, and most recently his cat Chiquito. He was involved in many clubs through the years, The San Salvador Church Club, Piru Seniors, and the Fillmore Lions Club to name a few. Jesus family would like to thank Janet and Kurt with Livingston. Also his many Caretakers over the years, especially Estela Vigil Aguilar, who loved Jesus like an “Abuelito”. 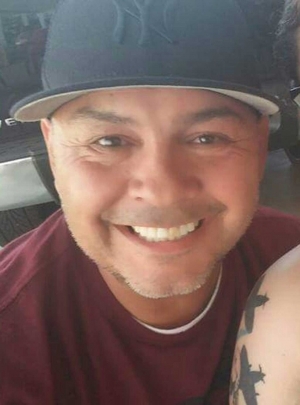 In Lieu of flowers, the family asks to please donate to Fillmore Lions Club, or San Salvador Catholic Church in memory of Jesus “Chuy” Zavala. The recitation of the rosary will be held on Friday September 8, 2017 at 8:00 p.m. at San Salvador Mission in Piru, CA. A Mass of Christian Burial will be celebrated at San Salvador Mission Catholic Church on Saturday September 9, 2017 at 9:30 a.m. Burial will follow at Piru Cemetery. For map and directions to ceremony locations and to sign the family’s online guestbook, share stories and post pictures please visit our website: www.santapaulafuneralhome.com and click on Jesus’s name located below “Recent Obituaries”. Charles James Alamillo, 80, went to be with the Lord, on Thursday, August 10, 2017 at his home in Fillmore, CA. He leaves behind his wife of 54 years, Barbara (Williams) Alamillo; his daughters Crystal Martinez and Natasha Alamillo; his son, Jamie Alamillo and wife Erica; his sister Francis Palacio and her husband Albert, and all his grandchildren Bernadette, Nicollette, Amanda, Heidi, Adrian, Anthony, Adam, Charles, and Sara. Charles was born and raised in Fillmore, the son of Carlos and Della (Riesgo) Alamillo. In his early years, Charles graduated from Fillmore High School, attended Ventura College, and served in the Army Reserve. Charles worked as a parts manager for General Motors for 35 years. Charles had a passion for hunting and fishing. He enjoyed coaching his children & grandchildren in sports, and watching them at practices and games. He also loved spending time at his ranch in the Sequoia Mountains. The family would like to thank the Livingston visiting nurses for their compassion and care. A Graveside Service will be held on Tuesday, August 29, 2017 at 10:00AM in the Bardsdale Cemetery in Fillmore; CA. Pastor Kyle Melton will officiate. It is with great sadness and heavy hearts we announce that our husband, father, brother and uncle, Harold Olson, was called home on August 20th, 2017 at the age of 78. Harold was born August 17th, 1939 to Otto and Noma Olson in Crawford County, Wisconsin. After high school graduation, he served in the U.S. Navy from November 1960 to March 1964 serving in San Diego and San Nicholas Island, Pacific Missile Test Center, Point Mugu, CA. Harold was an avid gardener who shared his green thumb tips and canned goods with family, friends and even strangers. He carried on the Olson family tradition canning pickles, okra, green beans, salsa, and tomatoes. Entering his prize possessions into the Ventura County fair winning many ribbons for Best in Show, 1st and 2nd place. He always stated that his garden was “A Little Piece of Heaven” and this is where he would feel closest to God and his loved ones. Harold leaves behind his wife Barbara (Wallace) Olson of 55 years of marriage, daughter and son-in- law Janice and Juan Lozoya, son Gregory Olson, sisters Deanna Brockway, Donna Olson and brother Norman Olson, along with many nieces and cousins. He was preceded in death by his parents Otto and Noma Olson, youngest sister Shirley Lucey and cousin Robert C. Olson. Visitation will take place Sunday August 27th, 4 to 6 pm at the Skillin-Carroll Mortuary, 600 Central Ave, Fillmore. A funeral service will take place on Monday August 28th, 1000 am at the Skillin-Carroll Mortuary, 600 Central Ave, Fillmore. Burial with United States Navy Military honors will follow at Bardsdale Cemetery, 1698 South Sespe Street, Fillmore. Following the services a reception will take place at Bardsdale United Methodist Church, 1498 Bardsdale Ave, Fillmore, CA 93015. In lieu of flowers, the family requests donations be made to the Bardsdale United Methodist Church, 1498 Bardsdale Ave, Fillmore, CA 93015. Ruth Margaret Freytag French died peacefully on July 3, 2017 at the age of 100. She was very sharp, even as she reached her century milestone, and was an avid reader and insatiable learner throughout her life. Stacks of natural history and anthropology books were always within her reach, and she stayed current on world affairs through the Wall Street Journal, Economist magazine and the Internet. Ruth was well-known as an important part of the Fillmore community, especially for her invaluable role in the medical practice of her husband, Dr. William F. French. She kept the medical and financial records, and often worked at the office helping patients or developing x-ray film. Ruth was born on April 4, 1917 in Rock Island, Illinois, as the first and only child of Dr. Charles Freytag and Marion Beatty Freytag. When Ruth was five, they moved to Hollywood, California, where Dr. Freytag re-established his family medical practice. In Latin class at Hollywood High School, Ruth met her future husband, William French. Following graduation in 1934, Ruth and William commuted together from Hollywood to UCLA, where they both completed pre-med science courses. Then William attended USC Medical School and Ruth headed north for graduate school in nutrition at UC Berkeley. They were married in 1941. Beginning with trips to Europe in the 1950s, Ruth and William traveled extensively, so Ruth took great interest in the world-wide adventures of her daughters and grandchildren. She was an enthusiastic birdwatcher and fed hundreds of quail and hummingbirds. Classical music always enriched Ruth’s life, and her daughters savor childhood memories of their mother playing the grand piano. Ruth is survived by three daughters: Penelope Kaplan, in New Jersey; Cathy Chaparro (Fernando), in Pennsylvania; and Susan French (Rich Arnold), in California. Ruth has seven grandchildren: William (Jennifer), Camila (Paul), Juan (Mandy), Daniel, Laina, Erika and Juliana; and five great-grandchildren: Isabel, Sebastian, Peter, Silas and Louise Ruth. We give thanks to her loved caregiver, Martha Aguilera, who has become part of our family. Caril Andrew McLain, age 77, began his heavenly journey on July 12, 2017 after a valiant battle with multiple cancers. Caril was born in Healdton, Oklahoma (July 19, 1939), the third of four sons of Woodie Albert and Blanche Ethel Shrader McLain. After graduating from Chillicothe (TX) High School in 1958, he moved with his parents and brothers to California. Caril was part of the Fillmore Police Department in the early 1960’s. Although his time on the force was not long, the friends he made lasted a lifetime and the stories were endless. Caril married Ruth Ann Bragg in 1966 and they had two daughters, Dawn Melissa (Missy) and Charissa Deann. In 1977, Caril married Sandy Barham and had a son, Cody Reagan. He lived in Plainview, Texas for many years and in Vian, Oklahoma Most recently, Caril moved to California to be near his daughters and grandchildren while undergoing treatment for his cancer. His children and grandchildren were the center of his affections and his bond with his brothers unbreakable. He is survived by daughters Missy McLain and Charissa McLain of Ventura, CA; son Cody McLain of Bastrop, TX; grandchildren Ashley Nicole DeLaTorre and Jacob Andrew McLain of Ventura; brothers Gene E. McLain and family of Plainview, TX; Larry Earl McLain and family of McLean, TX; Waylan A. McLain and family of Broken Arrow, OK; and many nieces, nephews, aunts and uncles. Memorial contributions may be directed to American Cancer Society Relay for Life of Fillmore-Piru: TeamMcLain. Checks payable to the American Cancer Society, send to Charissa McLain, 1389 Platte Avenue, Ventura, California 93004. Former Thousand Oaks resident Staff Sergeant Robert H. Cox, 28, was one of the heroes who was tragically killed in the crash of a KC-130 transport plane in rural Mississippi on July 10, 2017. Robert was born to Millard Cox and Paula Murrillo on May 11th, 1989, in Ventura, CA. Even at a young age, Robert had a passionate interest in working with his hands and problem solving, assembling model kits and sketching military-themed blueprints at home in his free time. He enjoyed playing airsoft with friends and going on family camping trips. He was a highly motivated, inquisitive child who absorbed information quickly. In high school, he signed up for the Delayed Entry Program to fulfill his dream of becoming a United States Marine. SSgt. Cox enlisted in the United States Marine Corps in July of 2007. Robert attended combat training and communication electronics school, where he was promoted to Private First Class. He later worked as a radio operator during Operation Iraqi Freedom, at which time he was promoted to Lance Corporal. He served in overseas deployments to both Iraq and Afghanistan. He also conducted joint training exercises with the Estonian military in June of 2010. In 2012 he was promoted to Sergeant and attended the Joint Fires Observer course where he earned the title of Honor Graduate. After attending the MARSOC assessment and selection course in 2013, he attended the Reserve Sergeant’s course in Quantico, VA, again earning the title of Honor Graduate. 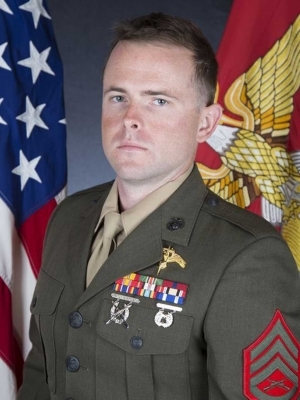 Upon graduating from the Marine Special Operations School’s Individual Training Center in 2014, he attended the Basic Language Course in the study of Arabic and graduated in 2015. He also attended multiple training evolutions, including the Static Line Naval Parachutists Course and Exercise and Marine Combatant Dive Course. In 2016 he deployed to Lebanon in support of CNT operations. SSgt Cox loved his job and lived his dream every day. He received numerous decorations, among them the Navy and Marine Corps Achievement Medal with gold star, Combat Action Ribbon, and Selective Reserve Service Ribbon. SSgt Cox was most recently assigned to the 2nd Marine Raider Battalion, Special Operations Command, Camp Lejeune, NC. He was a Critical Skills Operator. Between deployments and military courses, he studied anthropology at Ventura Community College, working toward a transfer degree. He enjoyed rigorous physical activities and would often go rock climbing when he wasn’t studying, reading, or socializing with friends. Robert had an insatiable curiosity about the world and many more goals he most certainly would have accomplished. Though his life was cut tragically short, he made the most of his 28 years with us. Robert is remembered for his calm intelligence, friendly demeanor, and sharp sense of humor. Always modest and kind, Robert was a true “silent professional” in his duties. He dedicated his life to service and made the ultimate sacrifice for all his fellow countrymen. He was a brother of many and a friend to all. He is survived by his father, Millard Cox; mother, Paula Murrillo; younger brother, Eric Cox, and elder sister, Amber Cox. Taylor Jean Parkins Gunter born January 10, 1997 in Thousand Oaks, California. Taylor passed away July 1, 2017 in Spokane, Washington. Taylor lived many places during her life including Simi Valley, California, Spring, Texas, Minooka, Illinois, and Spokane, Washington. Taylor graduated from Barker High School in 2015. 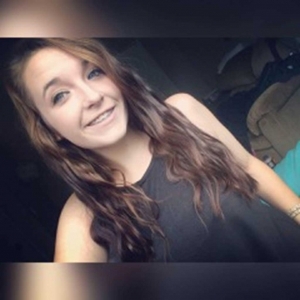 After high school Taylor earned her CNA license and was currently working in that field at the time of her passing. 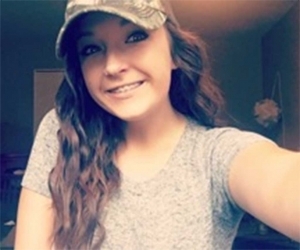 Taylor is survived by her father Derek Gunter, mother Sarah Parkins-Pyles, step-dad Eric Pyles. Also surviving are her brothers Gavin, Carson, Daniel and sisters Mariah and Renee. Also surviving are her grandparents, aunts, uncles, cousins and many friends. We are going to miss her beautiful smile, contagious laughter and sweet spirit. Michael Andrew Alba passed away on June 17th, 2017. Michael was a Fillmore class of 1983 graduate. 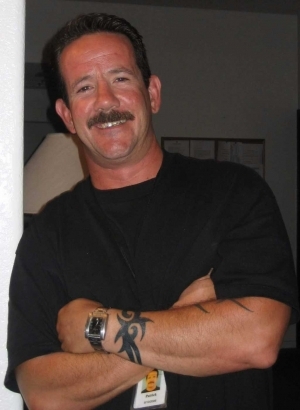 Michael was caring and passionate about working in the construction industry and utilized his talent to continue to work in the industry until the date of his death. He had a love for God, and spent his time growing closer to him day by day. Micheal touched many lives; friends, co- workers, and many others that he met along his short journey on this Earth. He is survived by his mother Linda Alba of Fillmore, brothers Jerome and Robbie Alba, daughter Candace Christmann, son Ethen Alba, 6, nieces, nephew, and cousins. He is preceded in death by his father Robert Alba Sr., and grandparents Raymond and Mary Morales of Fillmore. On June 26, 2017, we had to say goodbye to beloved wife, mother and tutu, Sandra Brown, due to cancer. 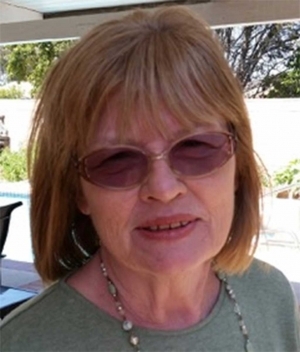 Sandra was a resident of Fillmore, CA for forty years. She retired three years ago after working many years on the Port Hueneme Navy base for ERI and Lockheed Martin. When she wasn’t shopping at Macy’s, Sandra enjoyed walks on the beach and spending time with her family, often sharing her wisdom, experience and quick wit with children and grandchildren. 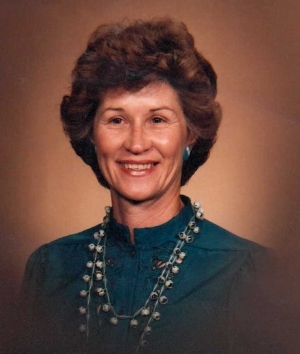 She is survived by her devoted husband of 52 years, Duane, daughters, Joy Henning (Doug) and Gae Thomas (Mark), grandchildren, Corban and Rebecca Suggs, faithful friend, Kia Kim, as well as her extended family. Special thanks is given to the many professionals who cared for her throughout her battle: Buena Vista Hospice, CMH, Summit Home Health, Dr. Lynn Kong and Dr. Jeffrey Rodnick. Throughout her illness, Sandra demonstrated tremendous courage, optimism and humor, providing a lasting example to her family that there is often a silver-lining if one is willing to look for it. Sandra will be dearly missed, but her family is thankful that they will see her again one day! Memorial Service to be held Friday, July 14, 2017, 11am- to 2pm, at Faith Community Church, 355 D Street, Fillmore. More information to follow in next week. Elizabeth C. (Betty) Hardison, age 92, passed peacefully Tuesday, June 13th with her family and caregivers at her side. She was born July 19th 1924 in Sacramento, California where her family had ties going back to the Gold Rush Era. She met Russ Hardison while he attended UC Davis and after his service in W.W.II they married. Settling on the family ranch near Fillmore they began years of operating the Sanitary Dairy and of growing citrus and avocados. 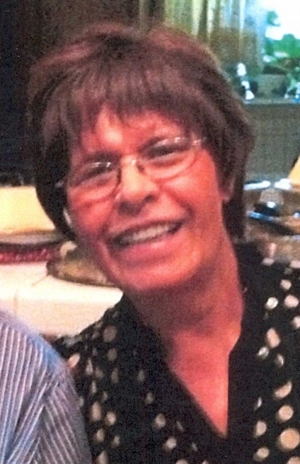 Betty was a strong woman, devoted to her family, friends and community. As a member of St. Francis of Assisi parish she devoted many hours to Guadalupana and the Altar Society and worked with others fundraising for Church projects. 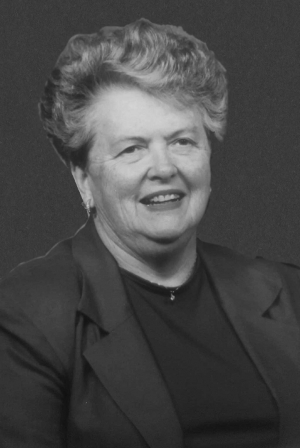 She actively supported her children's schools and many other community associations - such as Friends of the Library. A special focus was on Santa Paula Memorial Hospital. She and Russ were an early part of the effort to build the hospital and then volunteered countless hours over many years to the Auxiliary and gift shop, and worked in many other ways to support it. 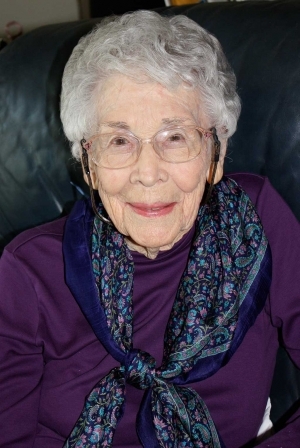 Betty enjoyed her many friends and was active in several bridge clubs. Many people found her ready to be a supportive force in their times of need. She was preceded in death by her husband Russell, her son Philip, and her son-in-law Jerry. She is survived by her daughter Gerry, her granddaughter Stephanie, her son Tom, and her nephews and nieces. She is also survived by her dear friends of many years, especially Betty and Ruth. The Hardison family wishes to thank all the staff at Greenfield Care Center of Fillmore for the good and patient care given to Betty. Catholic services will be at 10AM in the JOSEPH P. REARDON FUNERAL HOME, 757 E. Main Street Ventura, on Wednesday June 21st, followed by private burial services. The family requests no flowers and suggests that any donations be made to the charity of the givers' choice. It is with hearts filled with peace, love and prayer that we send the soul of our dearly departed husband and father to you Lord. Danny Torres, Piru Lake dam operator for over 29 years, was born and raised in the beautiful town of Piru and was proud to be known as a Piruvian. He was born into a family of musicians and quickly found his musical talents in playing the drums, guitar and vocals. 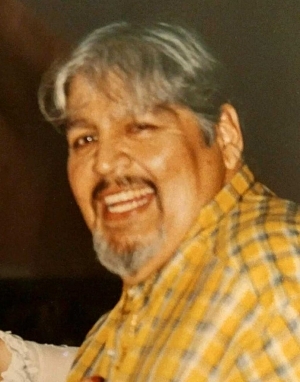 Growing up he performed with friends and family at local events and with the success of his musical talents he later formed the well-known Danny Torres and the Piru River Band. Danny was also an outdoors man and had a passion for fishing, hunting, and horseback riding. 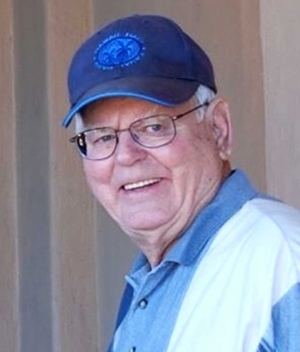 Annually he enjoyed opening season fishing trips, local and out of State deer hunting, trap shooting, winning Cribbage games, and Piru Canyon round-ups. Danny brought life to any gathering and was known to play his guitar around a campfire and had such wonderful stories and life lessons to share. Danny was also a generous and loving man, donating his musical talent to play at church and community functions, and opened his heart and home to anyone that crossed his path. In his home he made sure that you had a tummy filled with his wife’s delicious home cooking and that you knew you were now an honorary Torres son, nephew, primo or compa, and that you could add “-ito” (Ryanito) or Torres to your name (Fernando, Andy & Spanky Torres). Of all the things he was and did in his life, his greatest adventure, and what he was most proud of, was his role of husband, father and grandfather. He was blessed to have married Irma the love of his life, who for 47 years was his loving and dedicated companion. His prized champions were his sons Daniel (Karen), Vincent (Rochelle) and Tomas (JoAnn) who he raised to carry on the Torres “Family Tradition”, but those that brought him the most joy were his grandchildren Daniel III, James, Sophia, Thomas, Hanna, Lily Jo, Angel, Phillip (Krysta), Ethan, Gracie, Chase, and waiting to greet him in heaven is his grandson Justin. We would like to give our heartfelt gratitude to the wonderful care given by the ICU Staff of Santa Paula Hospital who guided us and Danny through the final moments of his life here on earth. For one last time we invite you to join us in celebrating the life, the love and the music of Daniel Torres with prayer of the Holy Rosary and Catholic Mass on Saturday, June 24th at 9am at Piru San Salvador Church with grave site services at Piru Cemetery. Share your memories with the family during the reception that will be held at the Fillmore Veteran’s Memorial Building.